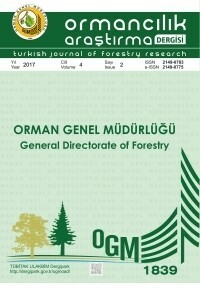 Turkish Journal of Forestry Research started to be published in 2014 with the aim of gathering the research results published as technical bulletin, annual bulletin, technical report and journal under a single roof in the charge of Forestry Research Institutes. Journal of Forestry Research, which is a peer-reviewed journal, aims to provide and share information on forest-related issues on national and international level. are published after a double-blind review process.